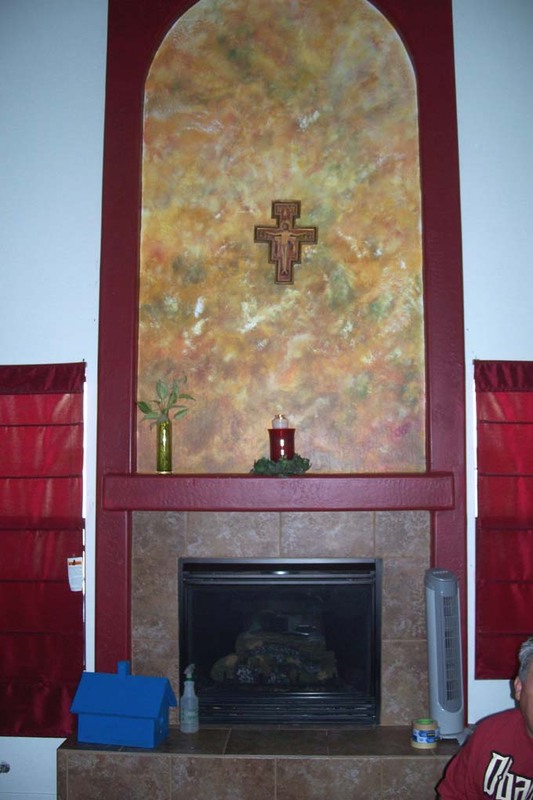 Below are a couple of in custom home projects. The one on the left we used a dry brush faux painting technique to achieve what the client wanted. The colors were a Tuscany color combination inside the archway niche. At Right: The canvas painting on the right is a custom piece off the client's idea. 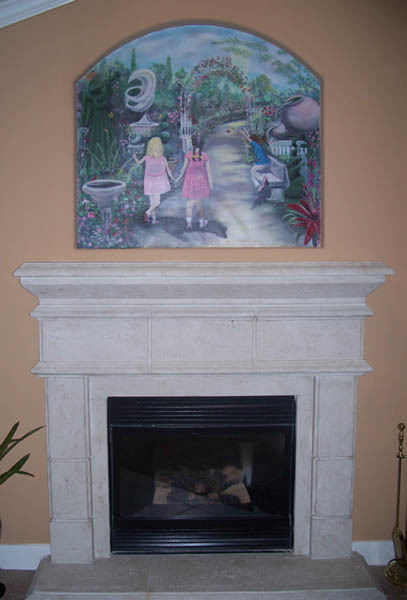 They wanted a canvas painting to including their three daughters in a whimsical, setting of them playing and frolicking. 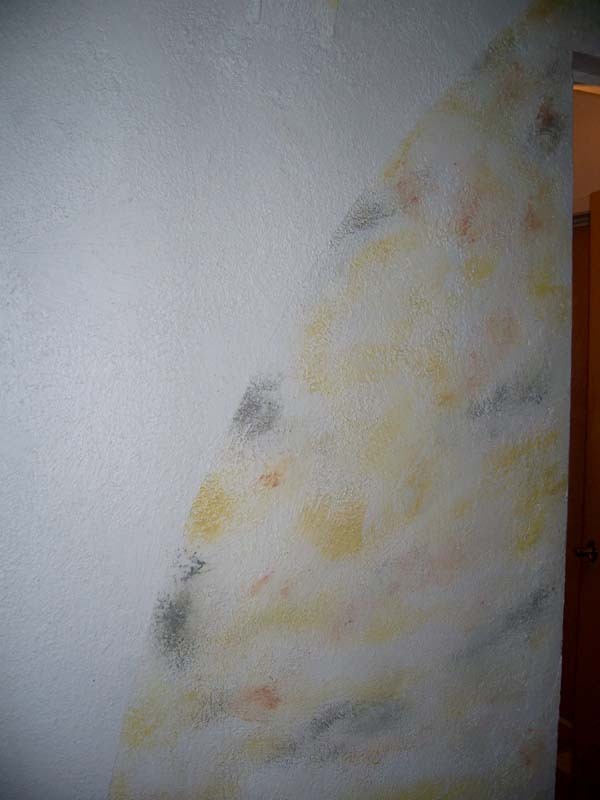 After the piece was painted it was cut and trimmed to fit in the wall niche in their home. The blue tone ones are a bathroom we tried to give and underwater illusion. 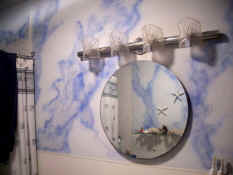 The work was created with a tattered rag and then soften up with the airbrush for a soft underwater feel. 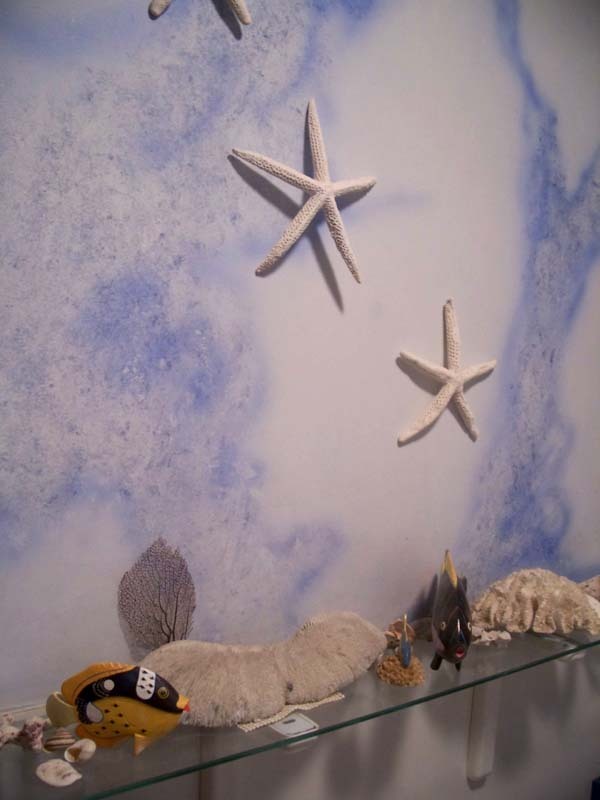 The star fish were added, hung over the faux finish. As you will notice some are more elaborate than others but they are all still creative, well executed art pieces.